Via the Saferpay JSON API, payments can be handled by Swiss Postcard and the card details are stored in the Saferpay Secure Card data store. This chapter describes what needs to be observed in this regard. A valid contract with PostFinance. The activation of the PostFinance Alias System for PostFinance and Saferpay. Note: The registration of a Swiss Postcard is only possible with the Alias Insert method. For that, you have to set the parameter "TYPE" to the value "POSTFINANCE". 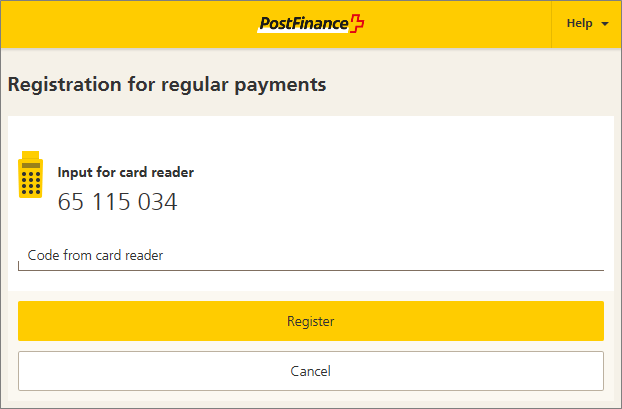 Unlike with credit cards, PostFinance requires the card holder to agree to registration on its site, so a redirect will be done! The result of the registration can then be called up using the Alias AssertInsert feature. The gathered alias can then be used for further authorizations, using AuthorizeDirect. 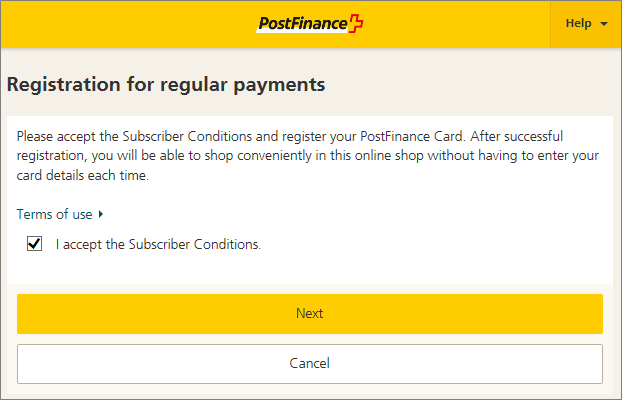 Info: Note, that Postfinance does not know the, for credit cards known and used, Mail Phone Order-Contracts. 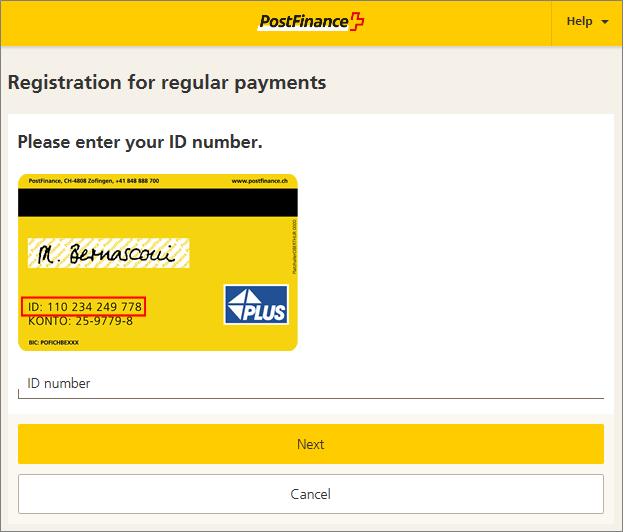 Simply use your normal eCommerce Terminal with Postfinance/Card activated!